Lavender is Awesome for Anxiety - Reclusive Fox ""
I have a bit of a love/hate relationship going on with lavender. I have a problem with the smell. It’s basically not a smell that makes me go “mmm”. Given the choice I’d rather smell a fruity fragrance, vanilla or honey (Marc Jacobs Honey is delicious). What makes lavender so important to me is the effects it can have on my anxiety. One of my main issues is anxiety and therefore I am always interested in finding ways of overcoming the dizzy waves of anxiety that wash over me on a regular basis. I have been on medication before but I don’t like taking it so instead I try a more natural approach. When I read that lavender was beneficial I gave it a try and I have to say that it does help. The way I use lavender is simply by smelling it. I find the smell alone has a calming effect on me. My heart rate begins to slow to a more acceptable pace and as a result the dizziness wanes and I am left being able to regain my composure long enough to begin listening to the sensible side of my brain telling me that it’s okay, I’m not going to die on the spot. Massages – mix in a couple of drops of the lavender essential oil with almond oil (or olive oil if that’s all you have) and focus on the pulse points of the body. Bathing – look for lavender bath products but read the label to ensure you’re getting the real deal. You can also add a few drops of the essential oil directly into your bath, but no more than 6 for a full bath and make sure you mix it in well. 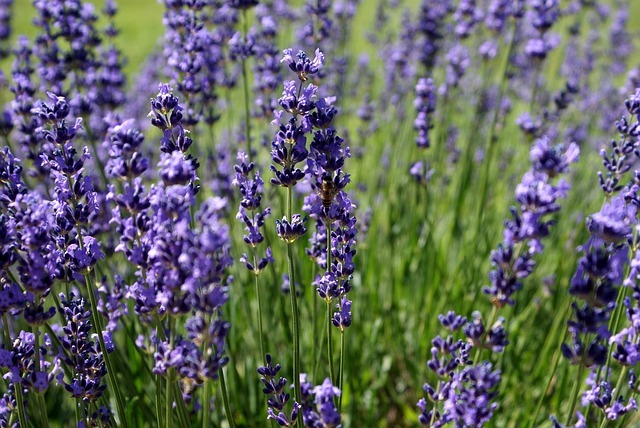 If you want to test the calming properties of lavender there are a few things to remember. Lavender scented products aren’t going to do anything for you, you need and deserve the real deal. Always look for genuine lavender essential oils in the ingredients or go and buy your own from a trusted seller. Lavender essential oil should never be taken orally. If you have an anxious child always make sure you dilute the oil. Don’t use it if you’re pregnant or breast feeding. You might be allergic so if you get headaches, chills or feel nauseous or vomit after inhaling lavender or using it on your skin it’s a good idea to stop using it effective immediately. Whether you love or hate lavender there’s no denying the power that is found in this incredible plant. I love the smell of lavender and did have some growing in the garden. Sadly one of my guinea pigs discovered she loved the taste of it! I do always have some lavender essential oil in the house, mainly to add to my bath or the laundry. I really don’t like the smell of lavender at all but I occasionally use it as a pillow mist or massage into temples and I agree it can help with anxiety. I didn’t know it had s many health benefits. I suffer from dry skin and dizzy spells so I think I might have to invest in some lavender oil! I use tea tree currently for head lice (wish other parents used it too) I will have to try it for this too see if it keeps them away! 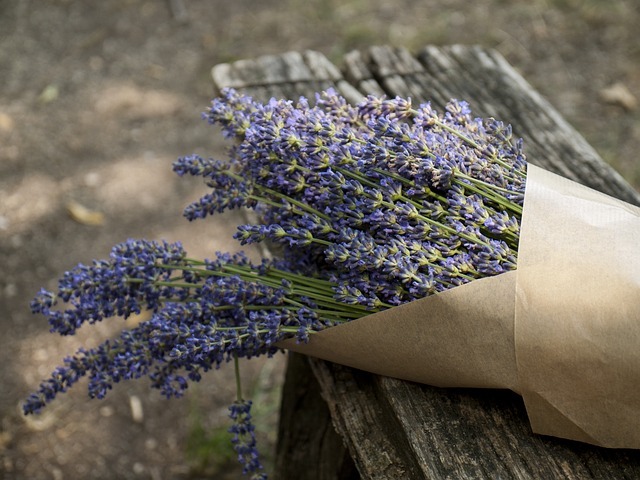 I love the smell of lavender and always have little lavender pouches tucked away in my cloths draws to keep a nice fragrance in them.I didn’t realise there were so many health benefits to lavender. I love lavender, it really helps me to relax and I used to use the oil mixed in with my moisturiser. Give it a go, I have been sleeping like a baby since adding some drops to my pillow each night. Just make sure it’s the real deal.